Many people (moms) experience the constant frustration of unwanted cellulite and stubborn fat because no matter how much effort you put into eating healthy and exercise, it’s resistant to your daily routine. I have some concerns with the stubborn fat that is on my upper arms. Read about her full experience here! 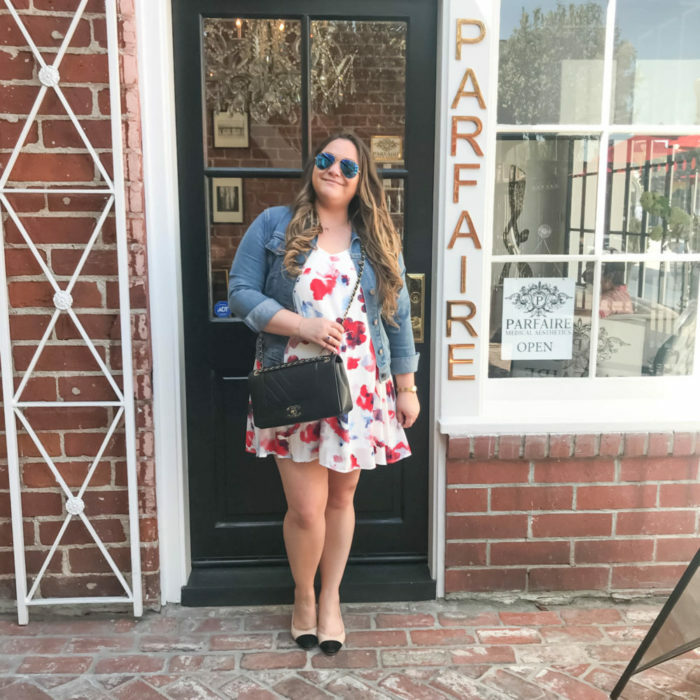 Blogger and social media manager, Missy on Madison, came for a visit recently to get pampered. Check out her photos and read about her experience with our Red Carpet Lift here! Celebrity makeup artist, Debra Macki, came for a visit recently. Check out her Instagram to see what she had to say about the two non-invasive treatments she had with our very own Dr. Winnie Moses. We can’t wait to see her “after” photos! With each year that goes by I’m realizing how important skincare really is. It’s something I wish I would have paid more attention to when I was younger, but I also think it’s never to late to start caring. This past year I’ve talked about my struggles with acne, overcoming it and my favorite products (see that video here). I’ve now turned my focus on preventative actions to keep my skin from developing unnecessary wrinkles. Summer is upon us which means another season to bask in the rays for that sun-kissed bronze look and glow. The only problem is, the older we get the more collagen we lose, and the more sun we attract, the more wrinkles and dark spots come with it. Fortunately for us, Dr. Winnie Moses, M.D. 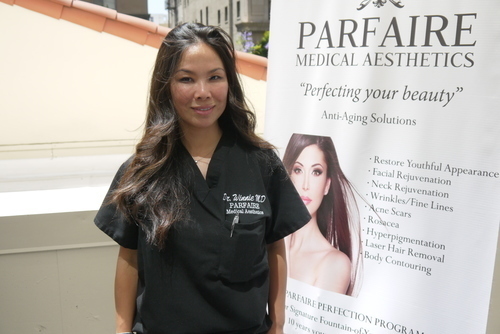 is the Founder and Medical Director at Parfaire Medical Aesthetic in Pasadena, and she has the answers to help you look younger and keep safer, without exorbitant costs and medical procedures like facelifts. As an added bonus you won’t have to drive to Beverly Hills in L.A. traffic to get this advanced technology! I am not going to lie to you: since I had my kid almost 3 years ago my skin changed, and not in a good way. Bye bye plumped and glowing skin from my 20’s, and welcome dark circles, dull complexion, and fine lines. Oh, and let’s not forget about the lion’s wrinkle, the one that automatically appears when you become a mother, because you won’t stop frowning and worrying about them from the moment they’re born until…well you just won’t stop! 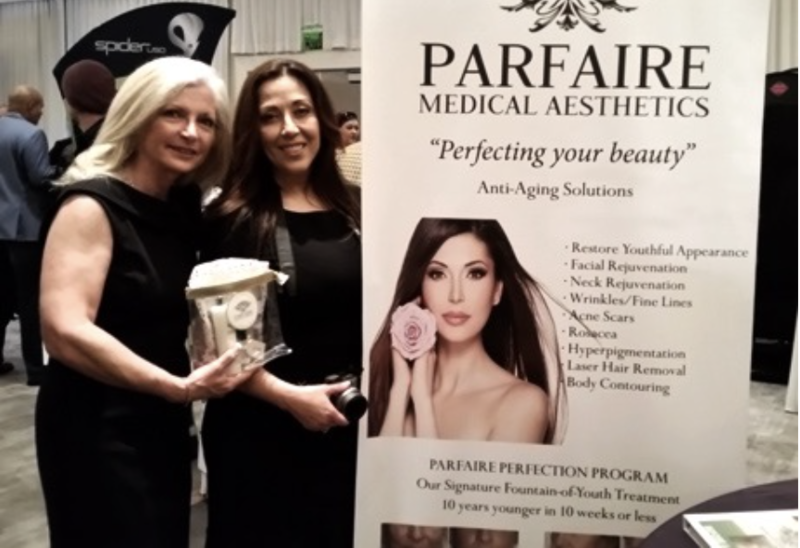 This last month I was able to spend a day at the amazing Pairfaire Medical Aesthetics Spa in Pasadena. I will be the first to admit that a MedSpa isn’t my usual “go to” retreat, but a friend of mine was just raving about this amazing Diamond Microdermabrasion SilkPeel facial she got, so I just had to go check it out for myself. I mean- they use DIAMONDS! What could be more chic than that? This had “Million Dollar Spa Day written all over it! Parfaire participated in the exclusive 2017 Oscar Awards Style Lounge hosted by Secret Room Events at the SLS Hotel in Beverly Hills February 21. CBS2 Los Angeles stopped by to film a live demonstration of a real Botox injection performed by our own Dr. Winnie Moses. 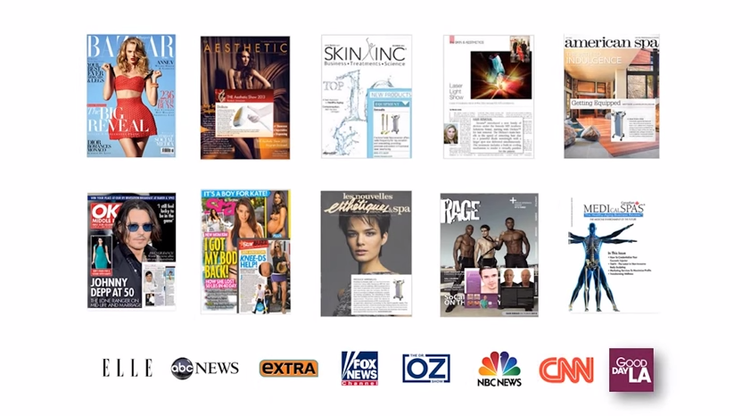 Throughout the event offered complimentary Botox treatments to event attendees. The event also included beauty products from celebrity hair stylist and founder of WEN, Chaz Dean. 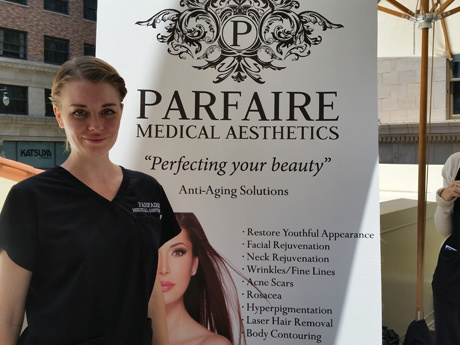 Guests were pleased to see Dr. Winnie of Parfaire Medical Aesthetics who was onsite at the ESPY event, providing Botox treatments. She is meticulous and very skilled at what she does, and has great insight as to minimal, effective techniques to bring out your best looks. Her staff also introduced her lineup of great skincare products. For more information visit: Parfaire online. They are located in Pasadena CA. Photo Caption: David SK Lee, exotic car collector and CEO of Hing Wa Lee Jewelers (L) with Dr. Winnie Moses, Founder and Medical Director of Parfaire Medical Aesthetics (R) at the Rolls-Royce Motor Cars Pasadena May 17, 2016. Photo credit: Raphael Maglonzo. Photo Caption: David SK Lee, exotic car collector and CEO of Hing Wa Lee Jewelers celebrates the delivery of his new Rolls-Royce Dawn at the Rolls-Royce Motor Cars Pasadena May 17, 2016. Photo credit: Raphael Maglonzo. 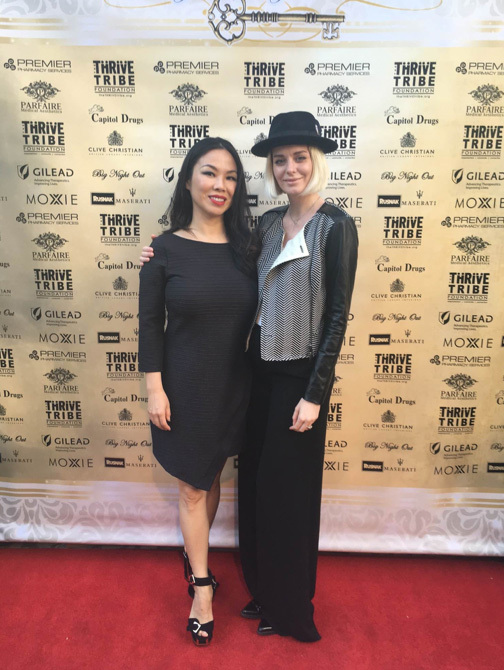 LOS ANGELES – Dr. Winnie Moses of Parfaire Medical Aesthetics in Pasadena and her expert staff attended the 18th Annual Big Night Out Gala in support of the Thrive Tribe Foundation’s (TTF) fight to end HIV on Saturday, May 7, 2016. TTF is supported by the Elton John AIDS Foundation, the Elizabeth Taylor AIDS Foundation and Macy’s. 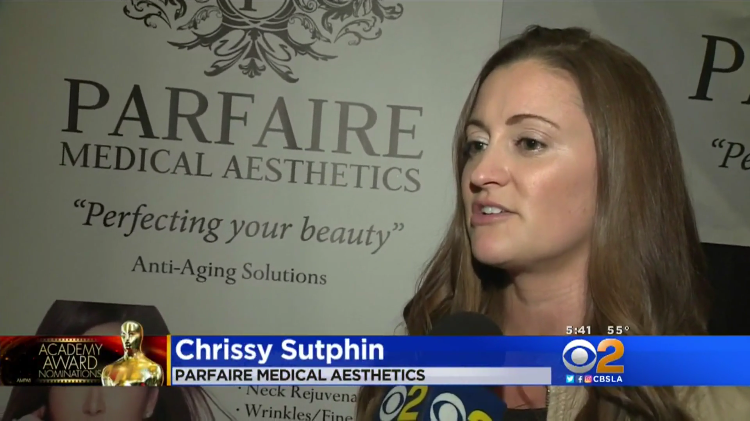 Parfaire’s total donation value for the cause was more than $5,000, including a non-surgical Fractora Total Skin Rejuvenation package valued at $1,750. 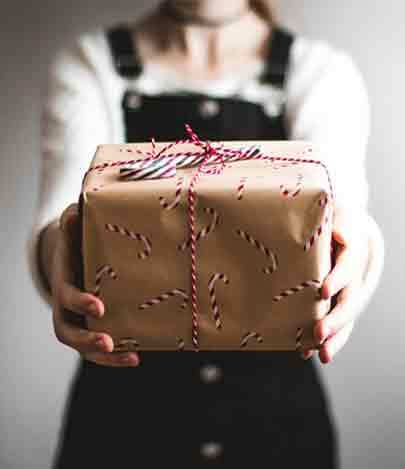 Parfaire also provided tasty parting gifts of freshly baked cookies which included a gift certificate offering 20 percent off of services plus an additional 20 percent to the organization when redeemed by guests. 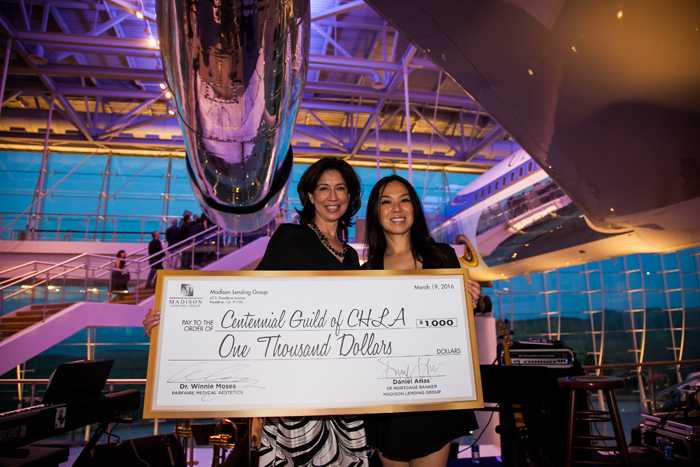 Drawing more than 300 attendees at this year’s event, the Premier Gala Reception is designed to showcase L.A.’s entertainment, lifestyle, fine dining, architectural design, outstanding auctions, and more. 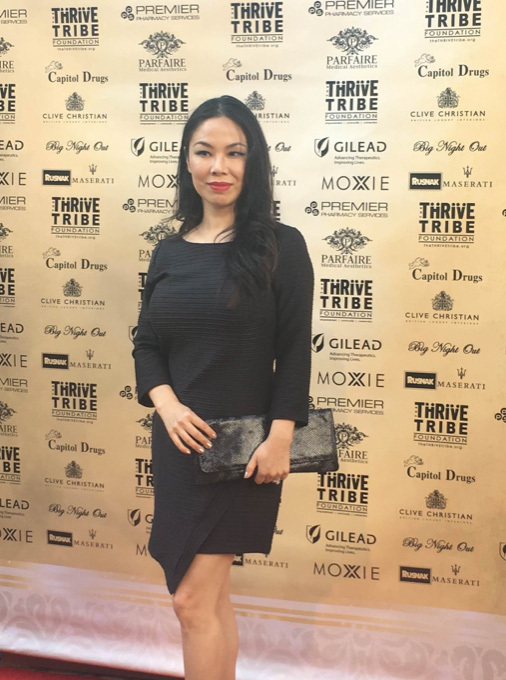 Created nearly two decades ago by AIDS Service Center (ASC) in Pasadena, the event grew into one of the most successful charity events in the area. With the closing of ASC this past year, TTF chose to continue the legacy and engaged former Executive Director Anthony Guthmiller to produce the event this year. 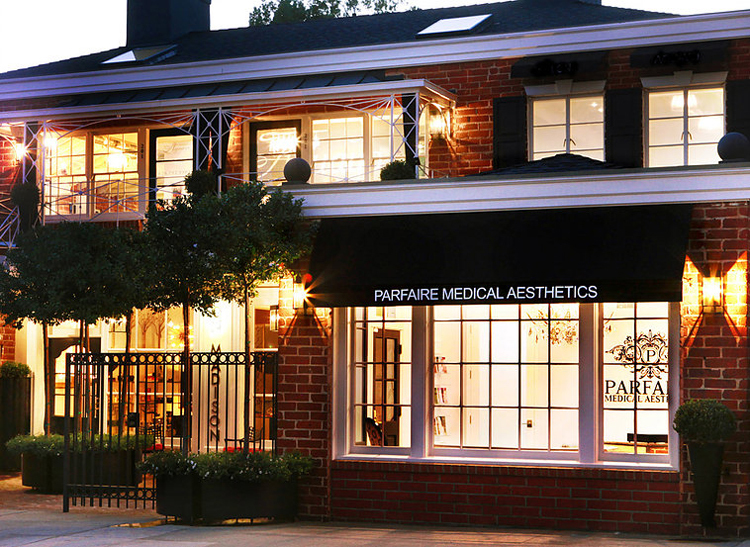 Located in Pasadena, Calif., Parfaire Medical Aesthetics is best known for its five-star, personalized medical aesthetic services met with affordable prices. Dr. Winnie is an American Board Certified Medical Aesthetics and Cosmetic Dermatology Specialist, and performs cosmetic treatments herself. 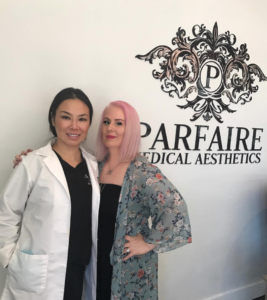 To schedule a complimentary consultation for any of Parfaire’s many cosmetic services, call (626) 414-5511 or visit www.parfaire.com for more information. 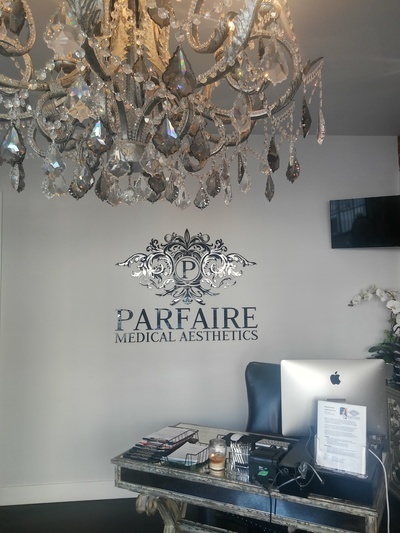 Follow Parfaire on social media for the latest news and specials on Instagram (@parfaire.aesthetics), Twitter (@ParfaireMedical), Facebook (facebook.com/parfaire.aesthetics), and Pinterest (pinterest.com/parfairemedical). THE SECRET ROOM EVENTS’ 2016 MTV MOVIE AWARDS STYLE LOUNGE at the SLS Hotel in Beverly Hills. 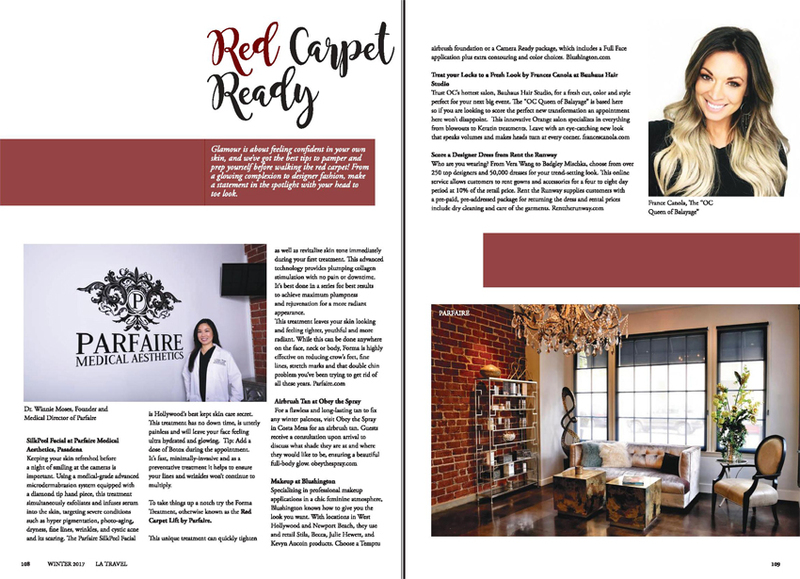 Parfaire Medical Aesthetics had a private room where celebs could indulge in facials and get touched up with Botox injections. 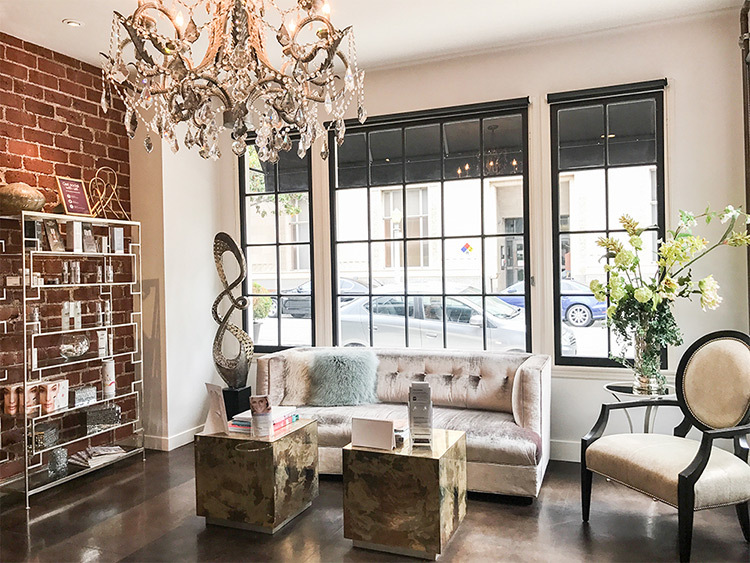 The Pasadena-based facility was also gifting products from their own skincare line. Katie Maloney and Tom Schwartz of Vanderpump Rules at The Secret Room Events. I think it’s no secret by now that I absolutely adore all of Secret Room’s events! And their Style Lounge in honor of the 2016 MTV Movie Awards was no different. This one took place in the ballroom of The SLS Hotel in Beverly Hills, and was jam-packed from the get-go. My co-writer Alice, (whose comments are the ones in quotes,) and I enjoyed every minute of it. So, let’s get started on the highlights of the day: Even though we did them last, I have to first tell you about the two services we received right on-site, because we enjoyed them so much. And then the gift highlights will follow. 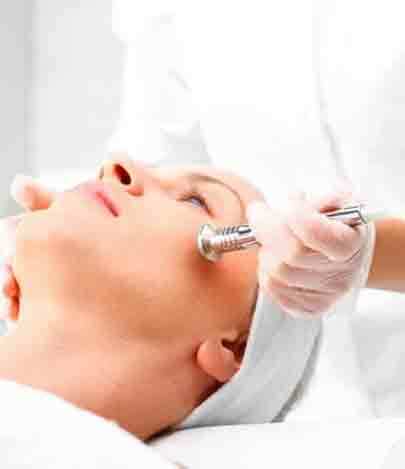 *Disclaimer* Any claims of highly effective treatments, improving appearance or condition, or quality of med aesthetics treatments cannot be guaranteed. Individual results will vary.